Whether you’re having an eCommerce website or planning to sell on marketplaces like Amazon and Flipkart, it’s obligatory to meet the legal requirements for starting an eCommerce Business in India. Doing the business legally is a long term approach. 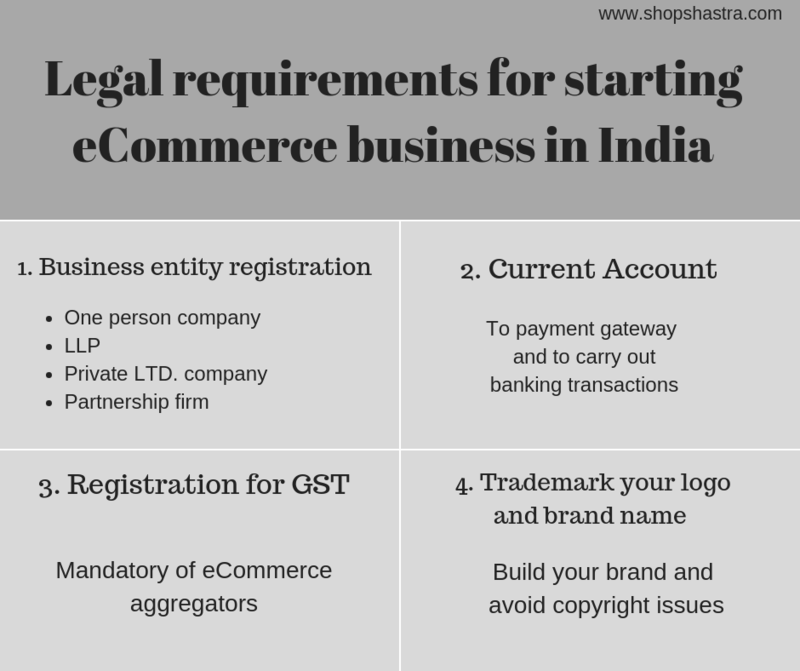 This guide covers the legal requirements you must meet while starting an eCommerce Business in India. One person company is a form of a business entity where a single individual handles all the business activities. The business owner is the sole recipient of profits/losses. There are no other laws that govern one person company. Registration under Private Limited Company is recommended for people wanting to have a recognizable brand, standard work procedures, and limited liability. The form of business entity must have at least 2 and maximum 50 members. Also, a minimum capital of Rs. 1 lakh or higher should be paid up from time to time. Partnership firms are popular form of business entities that are owned and managed by a group of members for profit. They are relatively easy to start and are most suitable for small and medium-sized business. LLP is a new form of partnership where different professionals pool their resources. Under LLP, the liability of one member is unlimited whereas the other members have limited liability which depends on their contributions. This combines the flexibility of partnership and some benefits of a company at a lower compliance cost than a company. Such business entities are governed by LLP Act of 2008. 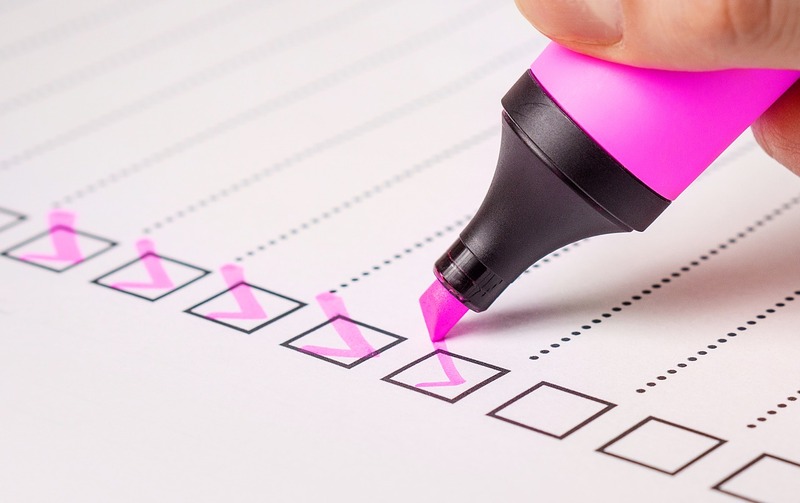 Choosing the right business entity depends on a lot of factors such as the type of business, the initial capital, and the number of team members. The most significant advantage of registering as a Sole-proprietor or in a partnership is the low operating cost and fewer legal formalities. The initial capital for a sole proprietorship or partnership can be as low as Rs. 30,000. Another form of business entity for an eCommerce business is the registration under LLP. It’s one of the easiest form of business entity to incorporate. With simple compliance formalities, LLP is preferred by small startups, professionals, and small eCommerce businesses. The primary advantage of an LLP over a partnership entity is that in an LLP, one partner is not liable for another’s misconduct. An LLP also provides limited liability protection to the owners from debts. Therefore, all partners in an LLP enjoy a form of limited liability protection for each’s within the partnership. Once you finalize the most suitable type of registration for your business entity, you will have to produce a list of documents for the process. Address Proof: The proposed Partner must also submit an address proof and residential proof. Residential Proof: A residential proof must be submitted to register an LLP. The whole process of business registration may take up for 6 weeks. The time taken for registration depends on submission of relevant documents and the speed of government approvals. Post registration of your business entity, you need to get a current account for the same to carry out banking transactions. Current phone number and e-mail ID of the entity. Passport-size color photographs of authorized members of the firm. Permanent Account Number (PAN). Latest passport-size color photograph of the sole proprietor/ entity. Phone number and e-mail ID of the entity. The next step post getting a current bank account is to register for GST. For e-commerce websites, it is mandatory to obtain GST registration irrespective of the value of turnover. It’s a lot of work to do. The whole process of registration and getting a payment gateway may take up for 6 weeks. But once you register your company, you can sell legally under your brand name on your eCommerce website or on Amazon or Flipkart. As your business grows, ensure that you trademark your brand name and logo because you don’t want a copycat retailer selling products under your brand name. The trademarking process takes about a day or two- post which you can start using the “TM” sign with your brand. So, get your business registered today and start selling legally.